Requests for copies of vital records for Stephenson County can be made to the Stephenson County Clerk's Office. You can make your request in person or by mail. If you choose to make your request by mail make sure to include a self addressed stamped envelope and the fees needed to have your request processed. If you are searching for vital records such as birth, death or marriage certificates post 1916 you can send your request to the Illinois Department of Public Health Division of Vital Records. 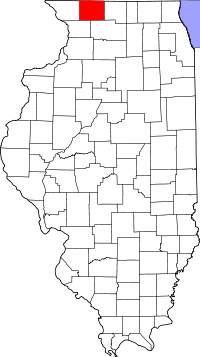 The Illinois State Archives has a large collection of local government records and can be useful in your search for Stephenson County records.